ONA Coffee has announced the re-release its seasonal “roaster’s choice” Unico blend. 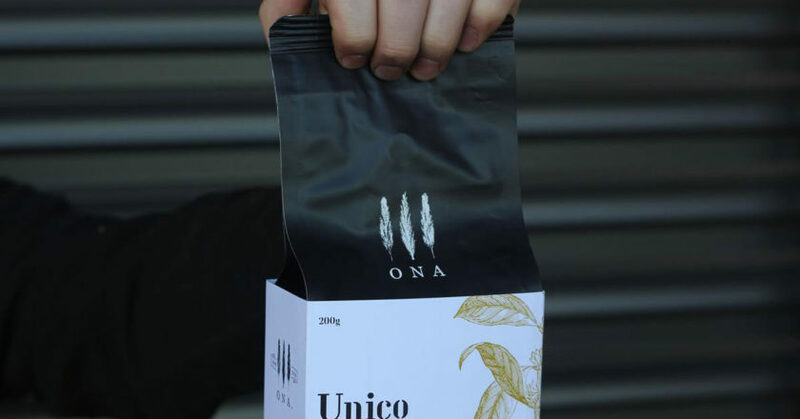 The Unico blend is an ongoing project by Ona’s roasting team to showcase unique and rare coffees in customised blends. The blend is change with each release, in order to share new roasting profiles and new coffees as they arrive to Ona’s roastery. “This blend was designed to be released around the time of the Melbourne Coffee Expo (MICE). We wanted to share these unique coffees with everyone across the industry at this event,” Ona Coffee Head Roaster Sam Corra says. This first release of the Unico for 2019 is made up entirely of Ethiopian coffees from Project Origin’s CM Selection series of carbonic maceration-processed coffees. “This release of the Unico blend is made up two coffees from Project Origin’s CM Selections carbonic maceration series, both from the ZB Washing station in Guij, Ethiopia,” Sam says. Coffees from ZB Washing Station were also used by Agnieszka Rojewska of Poland and John Gordon of New Zealand in the 2018 World Barista Championship, where they placed first and sixth respectively. Visit Ona Coffee at stand #63 at MICE2019.